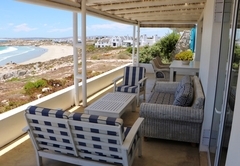 Dune Ridge is a property providing self catering in Paternoster for up to 6 guests visiting the Cape West Coast region. 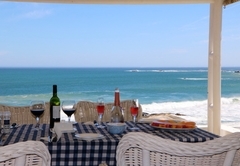 Dune Ridge offers accommodation in Paternoster on the Bekbaai beach on the Cape West Coast. 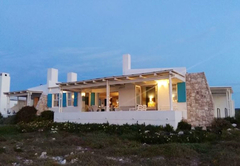 The house is 2.4 km from the Columbine Nature Reserve and the Cape Columbine Lighthouse. 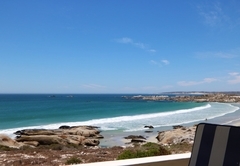 Enjoy a walk along the beautiful beach, explore Paternoster or simply chill out. 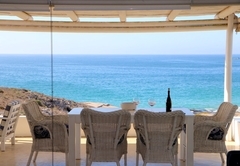 There are many leisure activities available in the area including sea kayaking, kite surfing, fishing and golf. 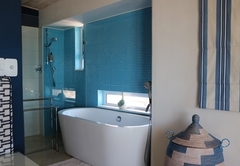 Dune Ridge is a self catering holiday home with three en-suite bedrooms. 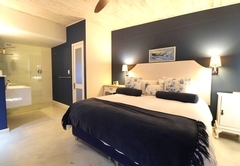 The main bedroom has a King-size bed and a full bathroom with a bath and shower. The second bedroom has a King-size bed which can be converted into twin beds on request and a large walk in shower with enclosed toilet. 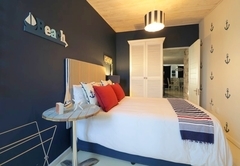 These two rooms both have sea views. 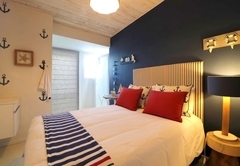 The third bedroom has a double bed and an en-suite shower. 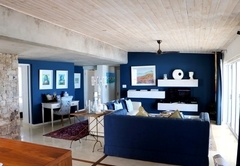 The living area is spacious and open plan with a fully equipped kitchen which has an indoor braai, gas appliances and a wine fridge. Separate pantry, scullery and laundry room and guest toilet. 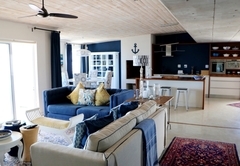 The lounge has a fireplace for the winter and leads out onto the large furnished patio and braai area through stacking doors. There is a TV with DStv Explora and FREE Wi-Fi. The house is wheelchair accessible and eco-friendly. There is a single garage with an automated electric door. 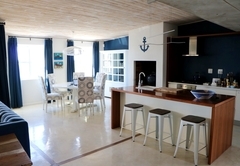 Dune Ridge is a self catering holiday home with three en-suite bedrooms. 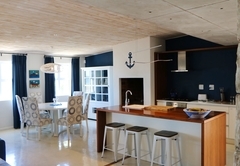 The living area is spacious and open plan with a fully equipped kitchen which has an indoor braai, gas appliances and a wine fridge. 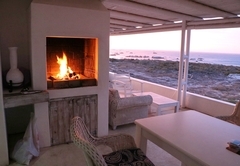 Outside there is a large furnished patio and braai area. Response timeDune Ridge typically responds to requests in 5-10 minutes. Child policyAccommodation is not suitable for children.